Welcome home!! Have you been looking all around town for a large lot to put a Shop, RV parking, a swimming pool, a garden, business storage? Look no further! 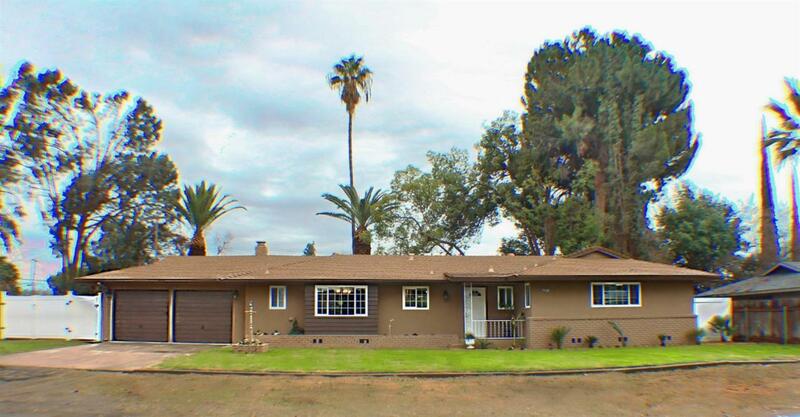 This home is on city utilities, in Award Winning Clovis Unified and fully updated! As you walk into the home you'll find a beautiful gourmet kitchen with quartz counter tops, self closing kitchen aid cabinets, new appliances, large windows for natural light and a custom island for entertaining! Relax in the welcoming living spaces with a cozy fireplace and beautiful views of the 25,000 sq foot lot! This ranch style home has many upgrades such as a new water heater, dual pane windows, new interior and exterior paint, finished garage, new appliances, luxury flooring, framed windows, fences, updated ceilings fans and fixtures. If you are looking for space and privacy make an appointment today! Come see this home for yourself and you will appreciate the attention to detail. Listing provided courtesy of Nicole Gough of Edinhart Realty & Design Corp..